Singapore’s latest property cooling measure could further slash down sales as both buyers and sellers take a more cautious step treading the island-state’s staggering property market, Southeast Asia’s largest developer CapitaLand Ltd. (CAPL) says in a report. In a statement to shareholders, CapitaLand predicts that sales will further moderate because of the government’s measure that puts a 60% cap on home loans granted by financial institutions. Home prices in Singapore rose to a record high in the second quarter led by values in suburban housing. This prompted the government to take on more cooling measures as of end of June. 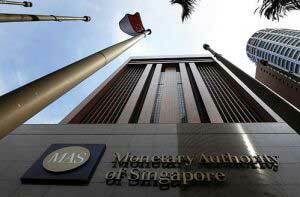 The central bank of Singapore has estimated that about 5 to 10% of borrowers have over leveraged their property purchases, with total debt service payments taking up at least 60% of their income, MAS Managing Director Ravi Menon explained in a briefing on July 23. “Low interest rates, growing leverage, and surging property prices pose significant risks to financial stability”, he added. Although headwinds are still seen in the near term, CapitaLand chose a pragmatic stance based on previous sales and current trends. CapitaLand has reported a 31% decline in sales as of June 30 compared to a year-ago. During the period, the company sold 139 residential units in Singapore. CAPL’s profits skid 0.7% because of slow portfolio gains. Listed company shares on the SGX had a 0.03 decline to 3.23 per share at closing of July 29 compared to last week’s high of 3.25 per share price. To assure shareholders, Lim Ming Yan, president and group chief executive officer at CapitaLand, said in the statement that the company will continue building homes, shopping malls, offices, serviced residences and mixed developments in its core markets, Singapore and China.